If you’re a keen angler or an absolute beginner when it comes to fishing, a Norfolk fishing holiday has everything you need. The fishing season on the Broads doesn’t start running until 16th June, and we’ve got plenty of tips on what you’ll be angling for on a Norfolk fishing holiday this summer. The Norfolk Broads are among the most popular fishing destinations in Britain, with a choice of salt and fresh water fishing locations. Fishing season runs from the 16th June to the 14th March, and you will need a valid license to go angling on the National Park. If you’r a veteran, it’s also worth scouting out a few locations online, as you may need a permit from the Norfolk Wildlife Trust as well as your fishing license. Provided you’ve crossed all the ‘t’s and dotted the ‘i’s, you’ll be able to explore almost 300 square kilometres of lakes and rivers that’re filled with a variety of fresh water species. Roach, perch, bream, even some pike if you’re feeling up to the challenge. 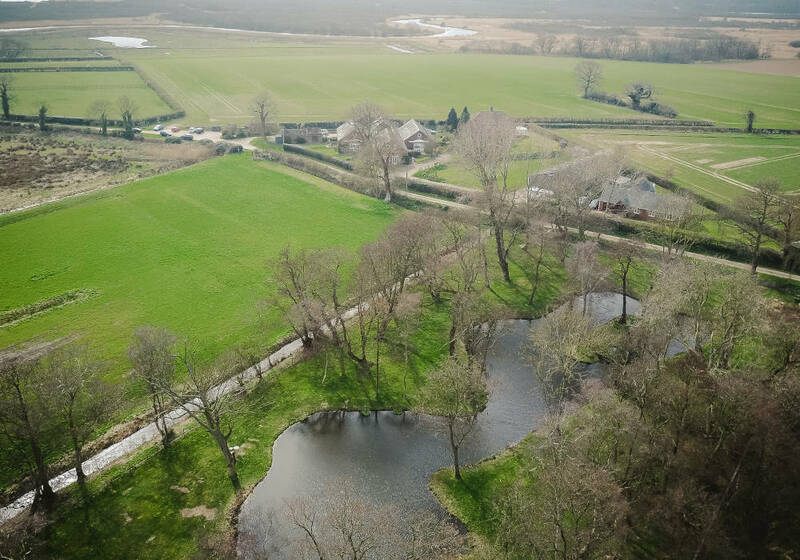 Hall Farm Cottages are primly situated for a Norfolk fishing holiday, with roughly half a mile of the River Ant’s bank just a short walk from the site. This is a great free fishing spot where you can find the likes of roach, perch, silverfish, and bream. We also have our own private fishing lake nearby which has been stocked with carp, rudd, roach, and tench. It’s also fully-accessible with easy access from your Hall Farm cottage. If you’ve always wanted to give fishing a try, why not make the most of a Norfolk fishing holiday with expert tuition? George, a local expert in fishing in the Broads, has kindly been working with our guests for some time now. He shares the benefit of his 30 years’ experience of angling on the Broads with novices and complete beginners alike, showing you the ropes in a private setting. You can learn more about angling tuition in Norfolk here, including suggested costings and suggested session lengths. If you’re thinking of travelling over for a Norfolk fishing holiday, Hall Farm Cottages is the ideal place to stay. We’re situated right on the northern edge of the Norfolk Broads, with private on-site facilities and a unique teaching experience to help you get the most out of your stay. Contact a member of the team if you’d like to book a Norfolk fishing holiday with us. Looking for group accommodation this summer?